Hate HARLEY QUINN? Then you will super-hate BIZARRO! 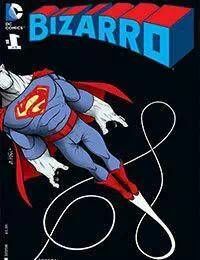 Bizarro star of worstest comic ever! Go ahead and miss it! If theres one thing this issue not have, it these two things: Jimmy Olsen and Chupacabras! Dont miss the start of this six-issue all-ages miniseries!